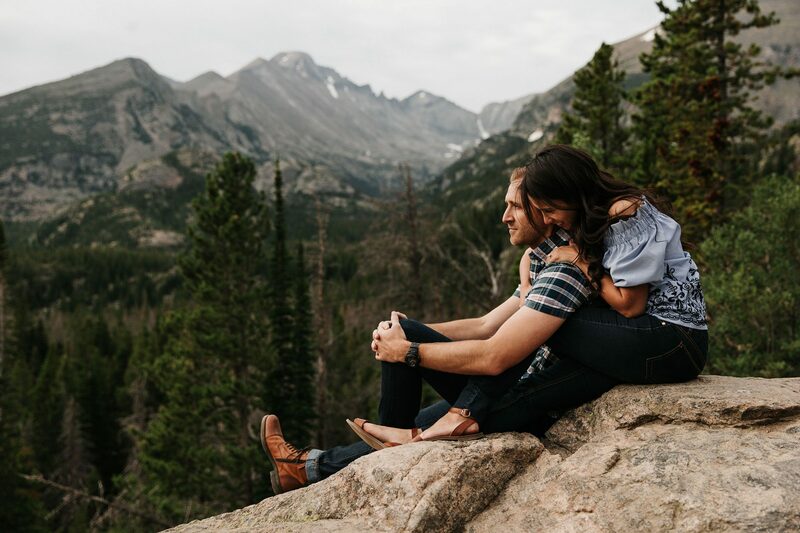 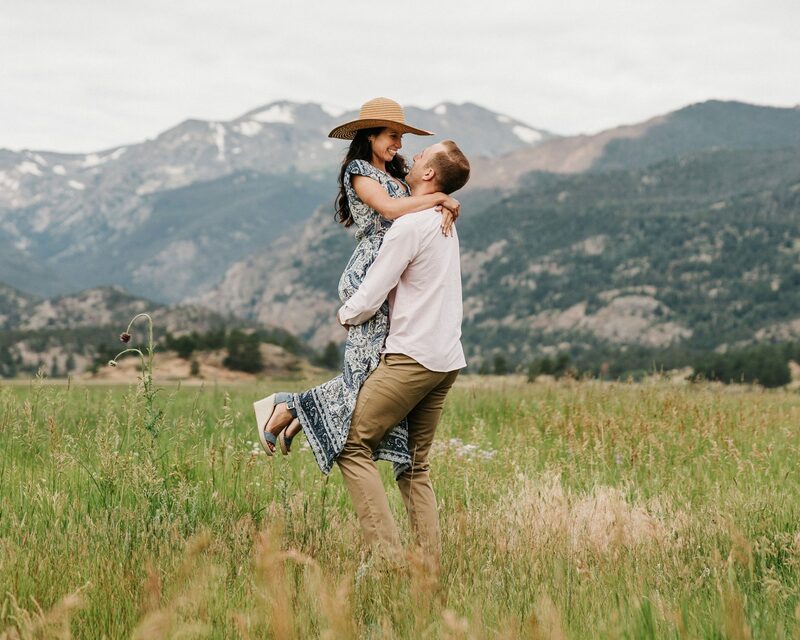 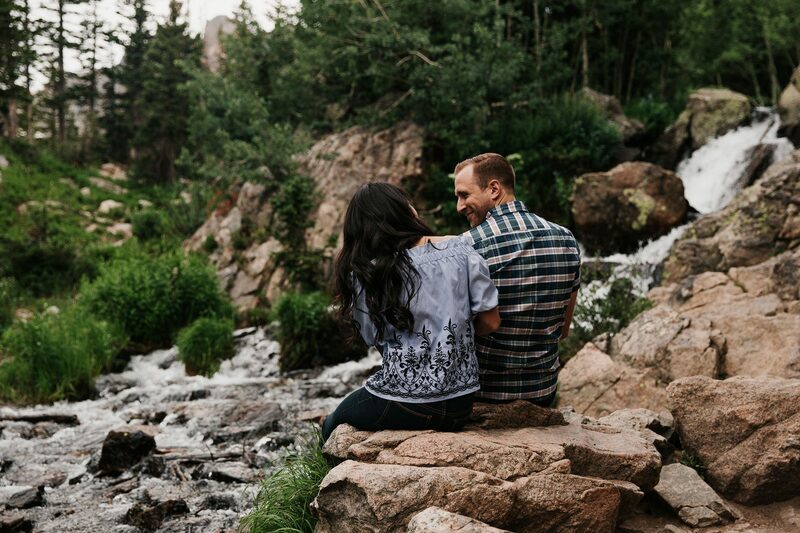 From the photographer, Larsen Photo Co.: Diana and Will came all the way from Pennsylvania to Colorado for their engagement session at Dream Lake in Rocky Mountain National Park. 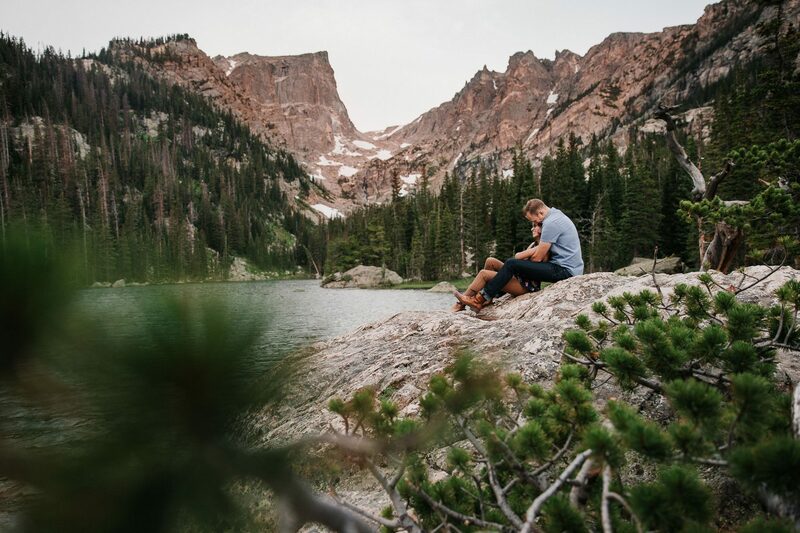 We left Boulder at 4am and by the time we reached Bear Lake Trailhead, the first sunrise colors were starting to peak up over the plains, and we set a quick pace up the trail to Dream Lake. 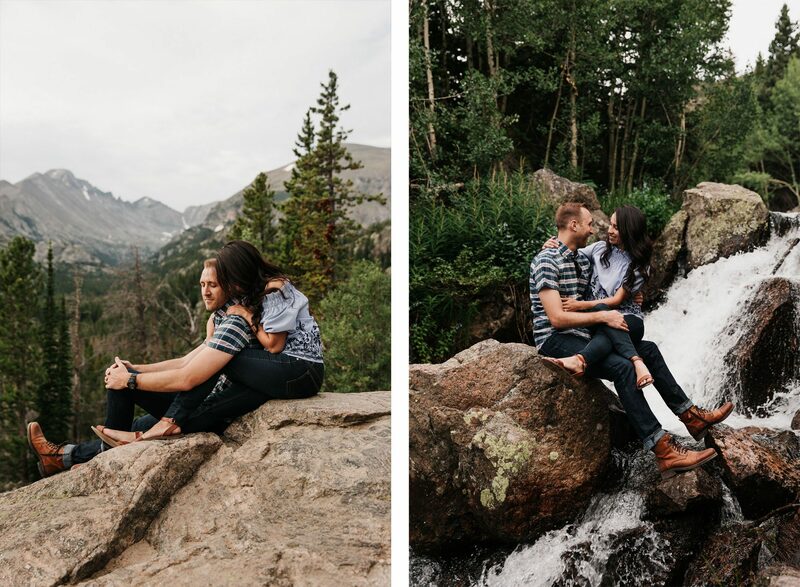 Unfortunately, the clouds came in and covered up most of the sunrise that morning, but we were having such a good time getting photos and exploring different parts of the lakeshore that we didn’t mind one bit. 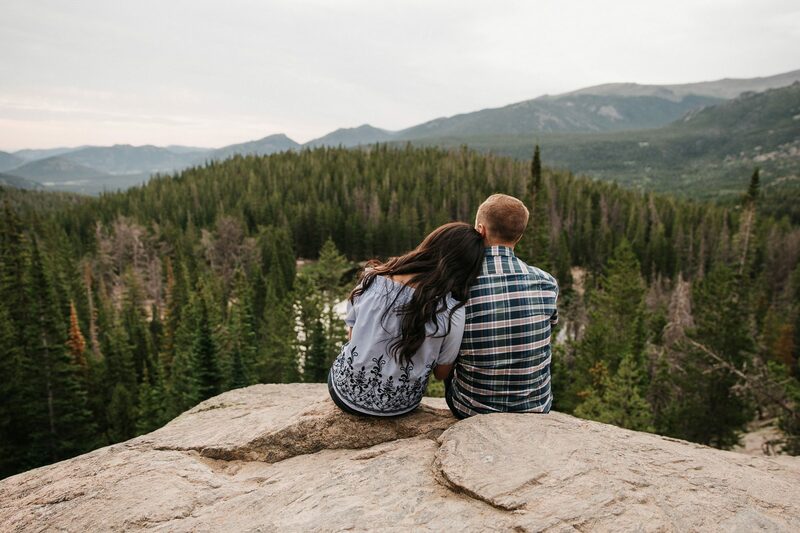 We drove back down to the Moraine Park area for our final shots of the day, and as we parked a huge moose came walking right past us. 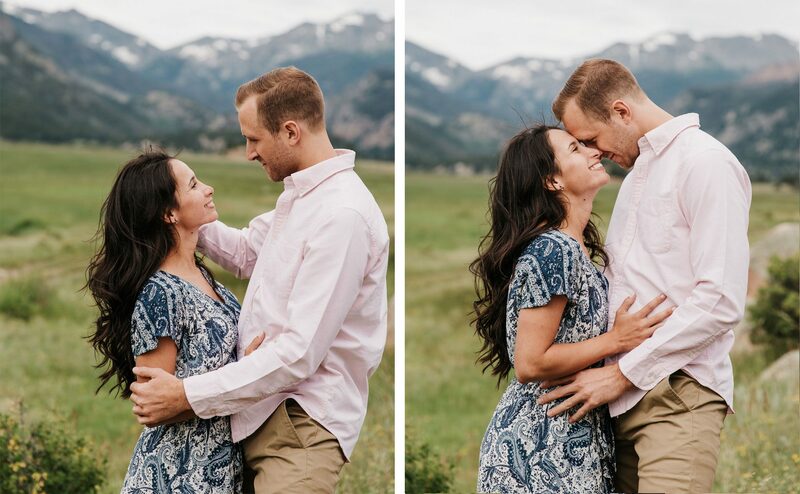 We were hoping he’d photobomb Diana and Will for at least one shot, but it’s probably better that he headed in the opposite direction from us.